When dishing up dinner, aid the portion control by using a smaller plate. Less room means less food in front of you. This will help with dieting and losing weight. If you are still hungry you can always get another helping of something. With a small plate adding another serving chances are you have still eaten less than if you had a big dinner plate to start. A good choice is a salad plate. It is big enough to hold enough food without allowing for over dosing on serving size. Smaller plates also have mental effect. If you see a full plate you may think you have had a full meal. Just the look of full plate can help to satisfy. It also help to satisfy other people who might make comments on your controlled portions because it will also look like more food to them. While these effects are not a physical, they will help you feel better. Feeling good will help with dieting and losing weight. Do not just settle for a lonely salad plate that has been in the back of the cupboard forever. Make an investment of a plate with a pattern or color that is pleasing to you. It will help you enjoy using it and not mind the smaller servings. Shop around until you find just the right one. Something unique that fits your personality would be a nice. If you like bold patterns and color an import store is a good place to look. Something special might be a refreshing change is to look at an art and craft fair or online for a handmade ceramic plate. It will be one of a kind and a treat to use. Having other small dishes for various purposes is a good idea too. Even smaller pots and pans will work in your favor. Smaller bowls and small serving wear will increase the effect of the smaller plate. The amount of food will appear more filling at all stages. From cooking, to serving and eating this is a strategy that will help you to feel more satisfied at all the time. Using a smaller plate will encourage you to eat slower too. Even if you put more food on your plate you will be forced to slow down before you eat more. Eating slower always helps you eat less. When you have less on your plate you will be more likely to slow it down a bit. It gives your brain a chance to realize that you have eaten enough. By using a smaller plate it will be easier to eat less and to eat slower. Using a smaller plate can be enjoyable too. Find a plate that you will like to use. It will help encourage you to use a smaller plate. Smaller plates are just another way to help you accomplish that thin body you are always working towards. Portion control is a key element to cutting back to lose weight and stay skinny. Using a smaller plate will help because there is not enough room for too much food. Eating less can be easier and more enjoyable by using a smaller plate. 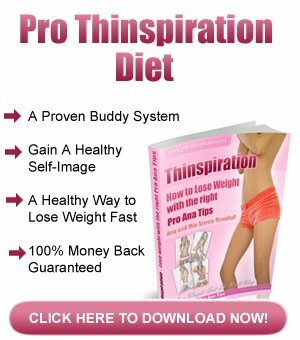 This will help reaching dieting and weight loss goals.